Notes: Established, probably by prior immigration, from at least 1855 to about 1892; thereafter an occasional immigrant from northern Europe, appearing in southern England, in some years arriving in sufficient numbers to breed, in very small numbers. 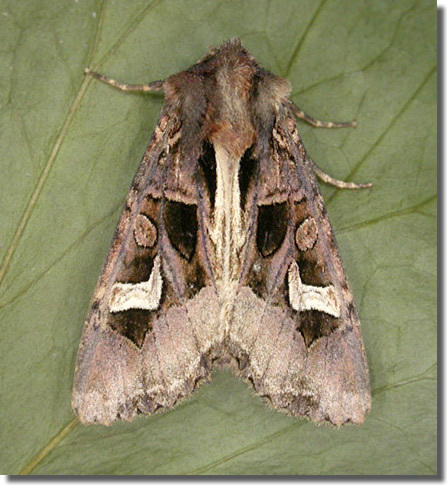 In Hampshire and on the Isle of Wight this species remains an extremely scarce migrant to southern coasts, but is being reported with increasing regularity, and following the influx of 2011 it is known to have established a small breeding presence in Dorset and East Sussex. Wingspan 45-53 mm. Larva feeds on Lesser Celandine, Meadow Buttercup, Blackthorn and Broom.